Claire O’Connor, 2018 Miller Audio Prize Winner in our Prose category, was too! 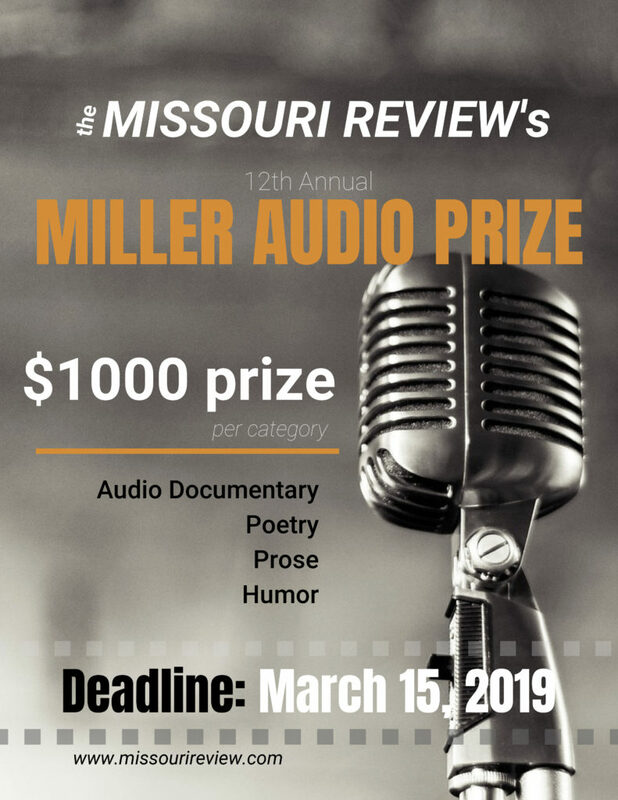 The 2019 Miller Audio Prize is open until March 15, so you’ve got time to turn your written piece into an audio masterpiece. We’re happy to share some tips! Below is a TMR Productions* video that takes you through the steps to create a recording using your own computer and free recording software. Preparing a recording of your work is easier than you think! Our humor, prose and poetry categories are especially friendly to first-time recorders. Listen to our previous winners here.